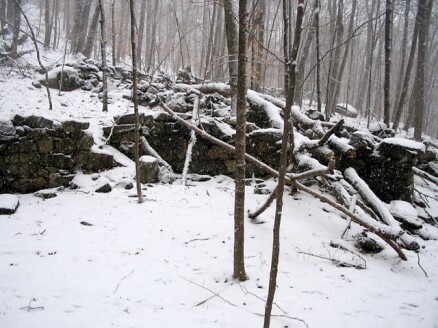 A snowy, yet excellent hike today in a place I just learned about last night. 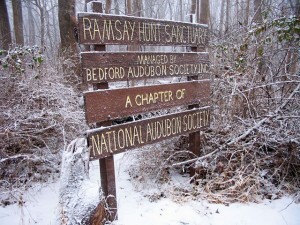 I was looking for information online about Beaver Dam Park, just south-east of the village of Katonah, when I came upon a description of Ramsay Hunt Sanctuary on the NY-NJ-CT Botany Online website. This in turn led me to the Beford Audobon Society’s website which is a treasure-trove of information about nature and parks/sanctuarys in the Beford area. They also have downloadable maps! Too good to be true. It was easy getting to the parking area on North Salem Rd, off of Route 35. The parking area is large enough for 6 to 8 cars, though there were none when I pulled up at about 9:30 AM. I didn’t see anyone else at all, and only saw other footprints as I was finishing up. Since I hadn’t yet hiked here I wanted to really check the place out, so I hiked the circumference. 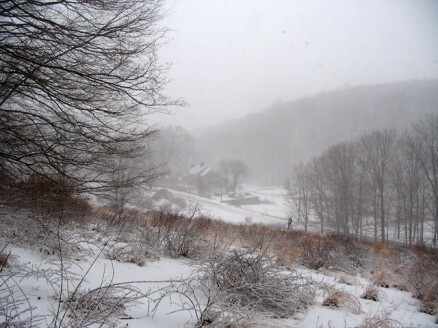 The sanctuary is 318 acres and quite hilly, so it took me about two hours to do the whole thing. It’s a gorgeous place and I’m excited to visit in spring. The Audubon Society has really done a lot of work here by placing elevated boards along parts of the path that I’m assuming are quite marshy when things aren’t frozen. I found these elevated trails throughout the park. 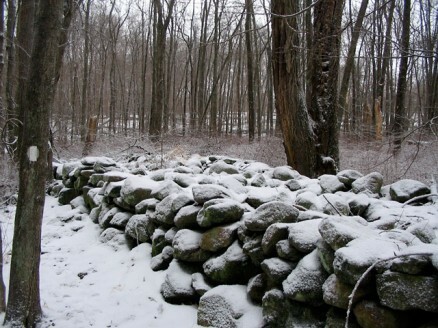 As is common in this area there were lots of stone fences and walls. This one was especially thick. Not sure why. Strange to see this here. 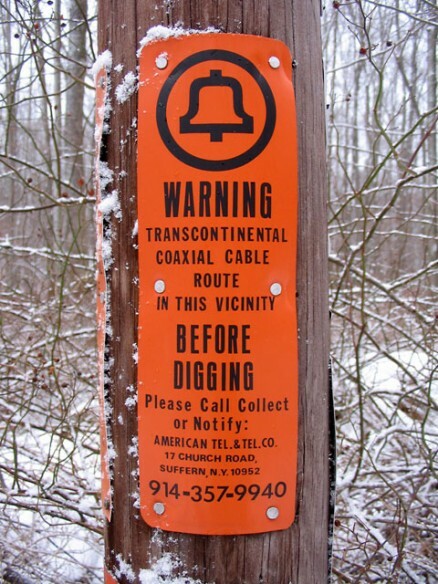 Transcontinental coaxial cable?! So that’s where they’ve been hiding it! The foundation remnants of some kind of structure. Cabin? Small barn? Who knows. 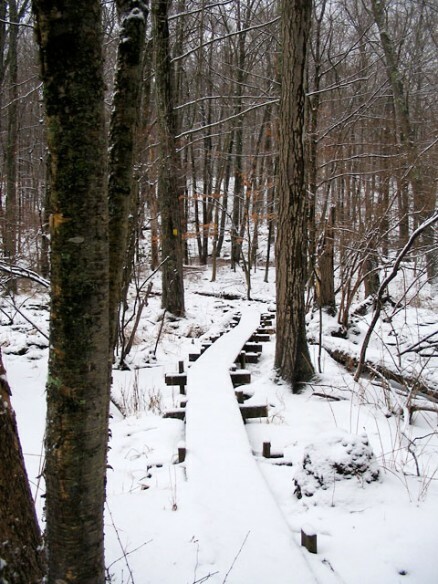 At the western end of the sanctuary, the orange-blazed trail leads to Todd Rd, where there is another trailhead. The trail cuts through these pricker bush-filled fields, where there were some bird houses erected. 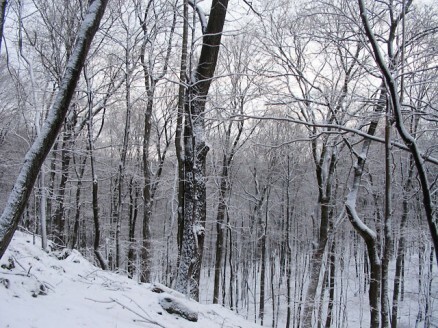 It had been snowing fairly heavily for about forty five minutes by the time I started back up the orange trail. 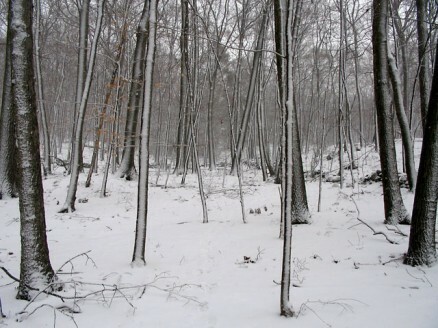 Luckily it wasn’t snowing enough to obscure my footprints since the wind had blown snow onto the trees obscuring the blazes. It would have made for much more difficult navigation. The trees were still covered with ice from the freezing rain we’ve had over the past two days, and the blowing snow easily clung to them, making a quite pretty scene. Audubon Society dollars hard at work. 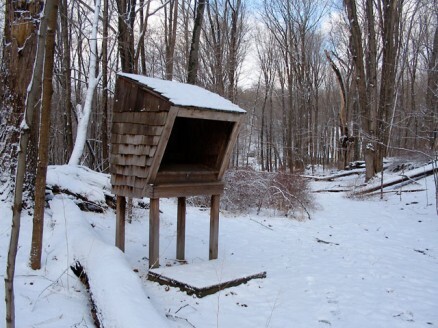 Very convenient, but it takes something away from the experience when you come across man-made things out in the woods. I didn’t complain too much as I tromped over it, though. 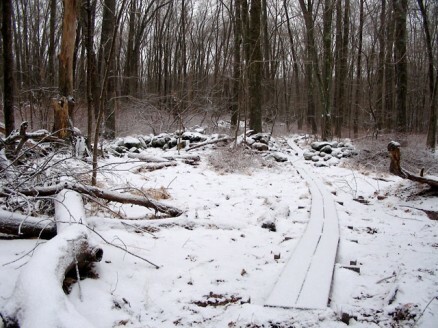 The yellow trail, in the north-eastern part of the park weaves through a swamp, and there are elevated paths that allow you to get deep into it. I can imagine this being quite amazing during the spring and summer. Fall, too. Great for bird-watching, I assume. 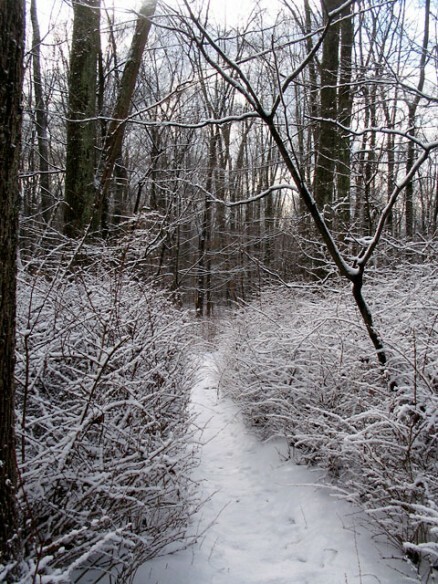 The yellow path let out of the swap and cut through this snowy stand of bushes. At the beginning of the trails there is a small kiosk. On looking inside I found that there were some trail maps as well as a sign-in book. Great hike. Great park. I will definitely be coming back here as often as possible. One down-side is that, similar to Butler Sanctuary, it gets pretty close to highway 684. You can only really hear it when you are on the western side of the park, though, so it wasn’t that bad. It certainly didn’t change the fact that I was having a great time. 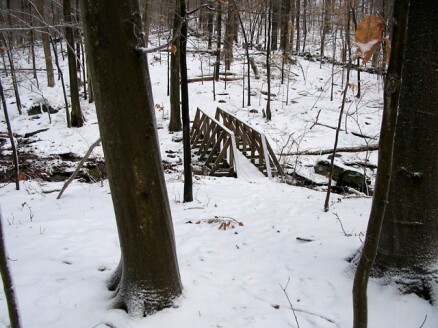 This entry was posted in Hikes and Walks, Ramsay Hunt Sanctuary on January 8, 2009 by Alex Smoller.